Lake Tahoe is one of the most beautiful places on the Earth. Nothing compares to living in a lakefront home on Tahoe. Lakefront properties offer stunning views of both the water and the mountains surrounding it. Many of these Lake Tahoe dream homes enjoy the privilege of waterfront entitlements such as beach frontage, piers, boathouses and buoys. Having such easy access to one of the world’s most unique lakes is truly special. AFFORDABLE LAKEFRONTS ARE ON THE MARKET NOW! Deep water pier and 1 buoy with 100′ shoreline along with panoramic lake views from all bedrooms and public rooms, 2 decks, 6 bedrooms, 4.5 bathrooms (2 suites), loft and game room with wet bar. Impressive floor to high ceilings, fireplace with adjoining bookcases. Decks off the living room, kitchen, 2 suites and 2 bedrooms. House sits below road with on-street garage, interior access. 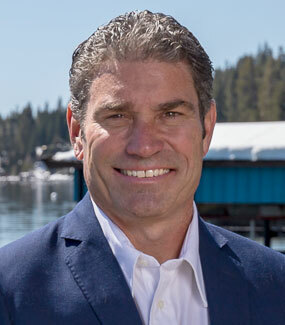 If you would like to view either of these beautiful homes or any other lakefront property on the market, please contact Kelly Smith and Tahoe North Realtors. To View lakefront listings on our website please click here.